"You teachers need to get back to playing beanbag with your boys and girls and leave the political hardball to us. Don't trouble your pretty little educator heads with things you don't understand." That's the mantra Republicans are directing at teachers: "Don't get political." "You said you wanted a raise," teachers are being told. "Well, we gave you one. You're welcome. But some of your leaders won't take 'Yes' for an answer. They don't care about you. They just want to make this political." Republicans have been using public education as a political punching bag for years so they can rationalize underfunding the education of 80 percent of our children who attend public schools while they funnel ever more money to private school vouchers. So it's only natural, they want teachers to take their raises and go home before they cause any more trouble. "You're putting an initiative on the ballot to tax the rich? Bad move. If you get partisan, you'll lose public support." That's coming from a party whose elected officials signed "No New Taxes" pledges and a governor who promises to cut taxes every legislative session. They fill their campaign war chests with contributions from corporations, Arizona's wealthy elite and, of course, the Koch brothers network. The money comes with the understanding that taxes on the rich will continue their downward slide. Naturally they hope teachers will acknowledge a simple fact of life: When the rich get richer and teachers make subsistence wages, that's just the price of Freedom. Politics ain't beanbag. That's why Republicans hope teachers will start playing beanbag again. They should go back to their earlier state of powerlessness, where they hold meetings to air their grievances among themselves and write sincere letters to newspapers and their state representatives about the importance of education funding. The ruling party wants to nip the groundswell of educator activism in the bud. 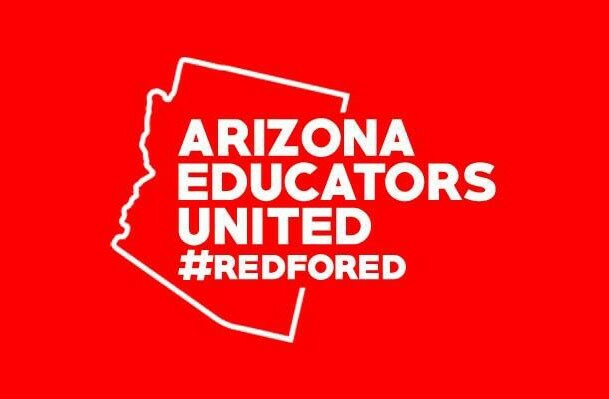 If Arizona's 50,000 public school teachers and an equal number of support staff join forces with parents of school-age children and other supporters of public education, if they circulate the "Invest in Education Act" petitions, knock on doors, talk to their friends, get out to vote for candidates who promise to support full funding for public education, conservative control of Arizona could be in jeopardy. A "Politics Ain't Beanbag" Literary/Journalistic Aside: The phrase "Politics ain't beanbag" was coined by Finley Peter Dunne, a Chicago humorist and syndicated columnist. It was in an 1895 column, coming from the mouth of Mr. Dooley, a character Dunne created. With a few minor changes, the longer quote could come from a local Republican politician, the Chamber of Commerce or your local conservative columnist. To which an Arizona Republican would add, "Teachers should keep out iv it as well."